Michael Bane, producer and host of the popular DownRange TV show on the Outdoor Channel, also creates a short video “podcast” each week. Michael’s weekly podcasts cover a variety of topics — product intros, major competitions, shooting tips, and gun industry news. This week (8 min, 30 sec into the video), Michael comments on the upcoming Supreme Court hearing in McDonald v. Chicago. That case will determine whether the landmark Second Amendment ruling in D.C. v. Heller shall be extended to state and local government actions. Bane also spotlights the FBI’s new 40sw AR15 carbines (from Rock River Arms) and the re-introduction of the classic Merwin-Hulbert revolver, now marketed as a compact CCW weapon. 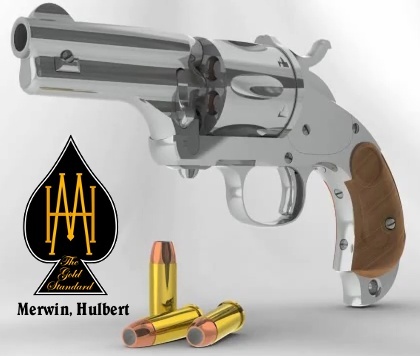 Notable Merwin-Hulbert design features included interchangeable barrels and auto-ejection of spent cartridges (when bbl assembly was unlocked). Share the post "Supreme Court Case + Gun News on DownRange TV Podcast"
The First Shot, the CMP’s online magazine, features a well-written article on Prone Shooting Technique by SPC Matthew Sigrist of the U.S. Army Marksmanship Unit (USAMU). 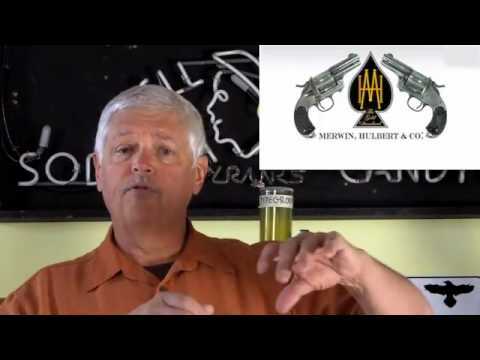 The article covers all the major points of gun hold and body position: hand position, elbow position, stock weld, buttstock placement, and sling position/tension. SPC Sigrist also demonstrates the two basic variations of the leg position when shooting prone: open/spread legged, and bent-legged. For any service rifle, highpower, cross-course, or prone shooter, this helpful article can improve your performance in the prone position. Share the post "Shooting Skills: Prone Position Shooting Tips from USAMU"